Every human being living on the earth is dependable on one another for survival. And when it comes to money, we all are depended on the source of income. These paper notes help us to facilitating the expenses that we need to carry for sustenance.So, when we lack cash or funds, it becomes a daunting task for us to manage through the whole period before attaining cash from any source. With the rapid growth and change in economy, our lifestyles took a turn and along with it came, a vast demand of money for facilitating needs. When people felt the need for money, businesses came up offering personal loans. And a staggering number of people are reported to take out a loan when there is any emergency and lack of money to address the need of the hour. Taking out a loan is quite an easy process now. Smartand advanced technology has made it easier to avail loans. There are various kinds of loan but all these are categorised into two types: Short-term Loans and long-term loans. Long-term loans are borrowed to acquire a huge amount of money and can be repaid after a long periodof time. 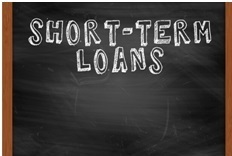 While short-term loans aretakenout for shorter period and repaid within a year or less. Short-term loans are mostly borrowed during emergencies or for small expenses. Business owners often require small business loans. Funds for home improvement, car repair, medical bills, vacations, weddings etc. are mostly taken out by people to support the unavoidable and urgent expenses. People with no emergency funds and bad credit always look for options to borrow a Short-term Loan for Bad Credit. However, as well know that a coin has 2 faces. Therefore, with all the benefitsof a short-term loan, there are also some risks associated with it. 1. High-Interest Rate:Short-term loans, usually, pledge no collateral and are easily available to the borrowers. With all these advantages lender tends to demand a higher rate of interest. Thus, borrowersreceive a small amount of money with a high rate of interest. So, prior to taking out a loan, it is necessary to research on the rate of interest of different lenders. Explore and shop around, and choose a loan with comparatively low interest rate. 2. Fees: As short-term loan is generally acquired during emergencies, most of the lenders may ask for upfront fees taking the advantages of borrowers.But there are a few lenders and brokers who don’t demand any upfront fees. FCA authorised loan brokers like Loan Broker in the UK doesn’t charge any upfront fee. It doesn’t have any hidden charge too. You can opt for a short-term loan or unsecured loan or any other loan as per your needs and necessities. 3. Amount Borrowed is Small:The amount of money lent is quite small as compared to the amount that you borrow while opting for a long-term loan. If you require a huge amount, it’s better to opt for long-term loan. Borrowing short-term loans for a huge amount may put you into trouble. The rate of interest will increase and if you cannot repay the amount on time, the lender may take advantage by increasing the rate of interest to make money through your loan. Thus, before acquiring a loan know the amount of fund that you require and if you are in a condition to repay it on time. The early you repay the lower will be the rate of interest. The advantages of short-term loans are so strong that it allures most of us to borrow it whenever we are in need of funds. However, it is also necessary to be aware about the disadvantages. This puts you in a safe square as you can easily weigh your options with every details that you have. The most important point after borrowing is the repayment. Never delay repayment as it will always be beneficial for you. Last but not the least, research about the loan and the lenders before you take a concrete decision. Previous Post:Debt Consolidation Or debt Settlement?